So, what has happened since you last heard from us? We crossed the Atlantic from Europe to North America via a repositioning cruise. In our first year of travel, we essentially circumnavigated the globe by plane. This year, we are trying some slower methods of travel, so we can get a better sense of just how “big” the world is. I confess, crossing the Atlantic by boat is one of those things that has been on my bucket-list for a long time. And, in June when I was trying to book our flights back to Canada, I discovered that round-trip tickets back to Europe were only going to be a couple of hundred dollars more than one-way… and that would leave us free to take a (cheap) repositioning cruise back in November. Within a matter of an hour, I’d booked both for our family. We got to see more of Europe this Fall, and I got to fulfill my dream of crossing the Atlantic by boat. We boarded our ship (the Norwegian Star) just outside of Rome during a torrential downpour. It wasn’t the best start to our voyage. But we made it on board, drenched to the bone. We bid on an upgrade to our room, and had a much larger room than on our last cruise that included a balcony. I loved sitting on that balcony. This cruise only had three stops as a part of the itinerary. Our first stop was to Marseilles, France. We got off the boat, but found it too difficult to get transportation into town so we really didn’t see very much here. Our next stop was Barcelona, Spain. 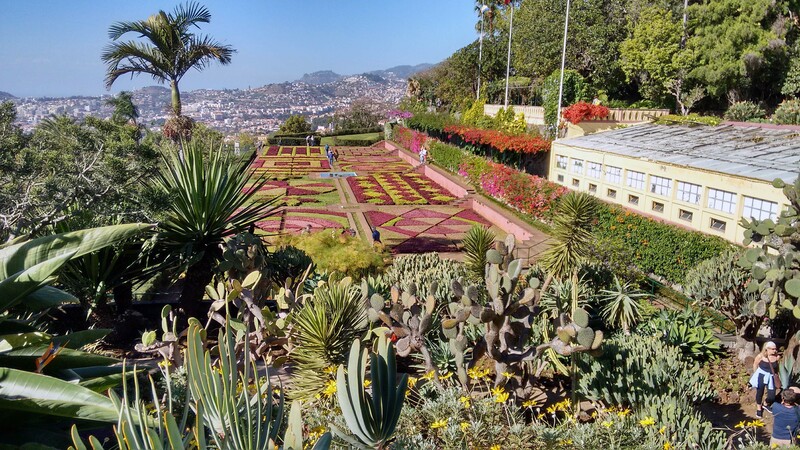 Marcus had been here before (ask him about Mont Serrat sometime…), but it was the first visit there for the kids and me. We took a Hop-on Hop-off tour around the city while we were there. Artie was NOT in tourist mode/mood that day, so it was not the most “fun” day of our travels. But, we did get a chance to see a fair number of sights while we were there. Our third and final port was Madeira, Portugal. Oh my… what a beautiful place. We booked a private tour that day, and it exceeded our expectations (and it was about 1/3 the price of any of the cruise ship shore excursions that we could have taken). 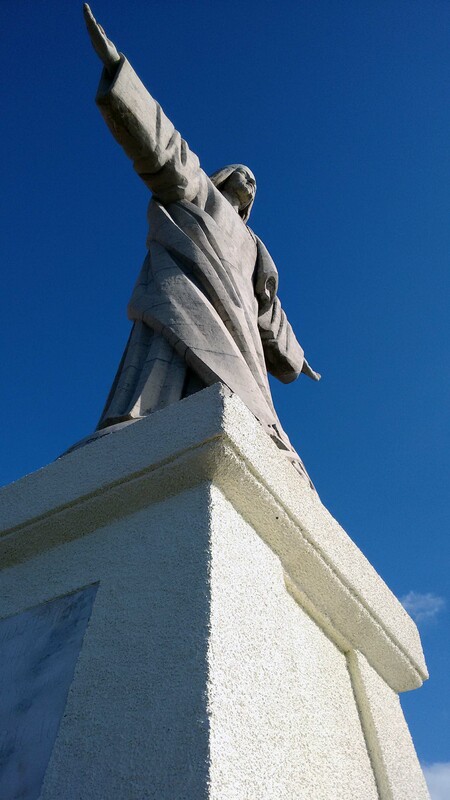 We got to see the “original” statue of Jesus that looks out to his later counterpart in Brazil. We spent a delicious hour touring the botanical gardens. We stopped at a café in the garden to have a coffee and Portuguese Egg Tarts (I’ve missed these darlings). 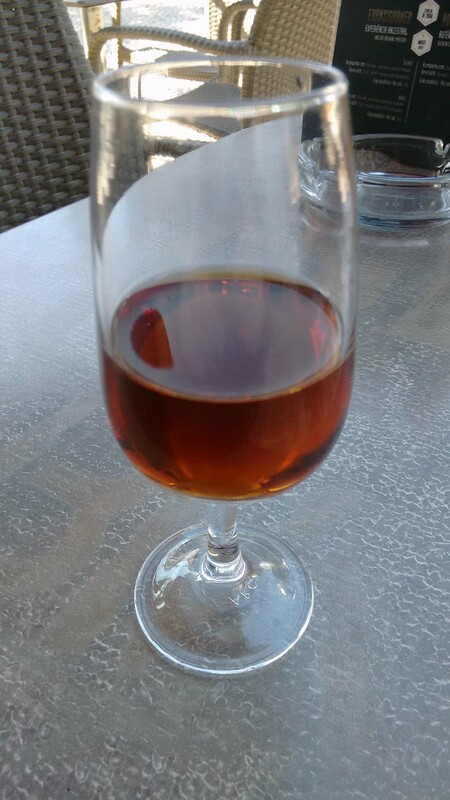 Finally, since we WERE in Madeira, we tried some Madeira wine. Marcus is a big fan of Port, and we had hoped to tour a winery when we were there. Unfortunately, though it was closed the day we were there. I can’t say that the Madeira wine was as good as many of the Ports we have tried, but we did try it. The remainder of our cruise was at sea (a full eight days). It is an interesting experience to be so far away from land and essentially “trapped” within a floating city. While there are plenty of activities aboard a cruise ship to keep a person occupied, we found this one difficult because the children’s program was staggered throughout the day. So, Marcus was ruled very much by the alarms on his phone letting him know when he had to go pick Artie up. Every minute late you are, cost a dollar. We were less than impressed with the kid’s program on this cruise. When Marcus attended his first show on the cruise (which started at 9:30 pm), Artie decided that he wanted to leave the program at 9:35. When Marcus went to pick Artie up, immediately after the show he found this out. Since they called the room and Marcus wasn’t there, Marcus was greeted with a staff member who was not particularly well trained in “human relations” informing him that from now on, he had to carry a beeper and would be charged $75 if he did not arrive at the kid’s program area within 15 minutes. We realized how spoiled we had been on our Royal Caribbean adventure in Asia earlier in the year as we did this cruise. Morgan’s dietary needs were cared for so well by the staff of RCL, and Artie had an awesome time in the kid’s program there. We had internet that was good enough that we could both do our work while we were at sea, and the spa facilities were included. That trip was a true pleasure. So, we were all grateful to disembark this cruise once we got to Miami. We all dealt with a level of humanity in generations above us that was hard to be with on that cruise… We all dealt with the hostility towards kids on the cruise, and it was so sad to experience and see such poor behaviour in adults. These weren’t the lessons or experiences that I had counted on having as we crossed the Atlantic, but they were the lessons and experiences that were there for us and the other families on the cruise. I’d gladly cross the Atlantic again, but will think twice about what cruise line we use. That is really interesting, good for you, hope Mexico is O K.